Jurmala has more than 30 hotels. Every year Jurmala is happy to offer new hotels with new modern spa and recreation services. In addition to hotels Jurmala offer accommodation in campings, guest houses, motels, hostels, resort hotels and resort rehabilitation centres. In Jurmala there are several multistoried modern Jurmala hotelli - Baltic Beach Hotell, Lielupe Hotellit and Jurmala SPA Hotellid. These Jurmala hotels allow to enjoy the amazing view of Jurmala from hotels skyline restaurants. Jurmala Resort hotels offer different spa procedures, beauty care and health resort treatments. The hotels in Jurmala are SPA and offer body and face SPA care. Some Jurmala hotellit are open all year around but other Jurmala hotellid work only in summer season. It is very interesting to stay in the wooden historical guest houses, that have been renovated and let the guests feel the atmosphere of the last centuries. Small and cosy Jurmala hotels offer quiet vacations. Usually small hotel in Jurmala offers cheap price and low rates for accommodation. If you come with motorhome (camper car) there are some campings in Jurmala. For those who's looking for cheap hotel in Jurmala there is a choice between guest houses, motels and small private hotels. Also you may rent for accommodation in Jurmala private apartments, flats, cottages and summer houses. Jurmala is the best place to combine business deals with recreation vacations and entertainments. Jurmala hotels are comfortable for business. Numerous conference centres are located in Jurmala hotell. Golden beaches on the Jurmala sea shore of the Gulf of Riga and largest concert hall are located just a couple of hundred metres from Jurmala hotels, motels, guest houses, private apartments and cottages. Jurmala is the largest hotel resort city in the Baltic States and second largest city in Latvia. Come to Jurmala and enjoy your stay in Jurmala hotels! Jurmala Hotel CONCORDIA is located in the quiet and calm centre of Jurmala in Majori near the river Lielupe and Baltic Sea beach in 500 meters distance to the Jurmala broadway - the Jomas street where all main Jurmala's leisure activities are located. Jurmala is the most popular holiday and health resort of Latvia and Baltic. 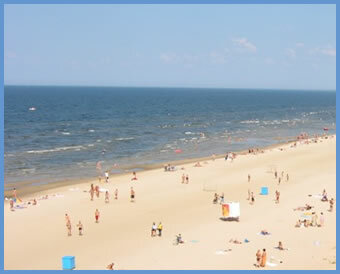 Jurmala is famous for its shallow sea and magnificent 32km-long wide beach from the white sand. Amazing Jurmala wooden architecture of the charming century houses, Jurmala fresh sea air, silent breeze and waves on the sea, smiley people in Jurmala and restaurants paradise will encourage you to fall in love with Jurmala. Jurmala is located near Riga - Latvia capital. 30 hotels, guest houses, resort hotels, motels in Jurmala offer accommodation for tourist. Our Hotel Concordia is one of Jurmala hotels offer rooms for cheap price. Hotel Concordia - is Aparthotel in Jurmala. 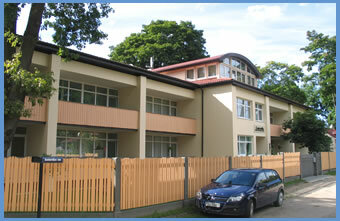 We offer to rent an apartment in center of Jurmala in Majori. Term of rent can be any - from 1 night till 1 year - short-term rent or long-term rent 1 - and 2-bedroom apartments in Jurmala. All apartments in the hotel - bright and renovated, each apartment has all amenities, hot and cold water, all furniture, kitchen facilities (microwave, fridge, cooker, toaster, kettle, oven, full set of dishes), hair dryer, free Wi-Fi wireless internet, TV and hotel cable TV with local and international TV channels, large wide balcony, hotel reception with tourist info, bike rental, sauna - steam room, car parking in hotel area, picnic and barbecue place. Hotel is close to Jurmala bus and train transportation, near 4 grocery shops and local market, river Lielupe and Baltic sea beach, children amusement park "Jurmala Amber", the distance from hotel to Jurmala waterpark "Livu akvapark" - 3 km, and from our jurmala hotel to center of Riga - 20 km. We offer discounted tickets to Jurmala waterpark. All apartments in our Jurmala Hotel Concordia are really large and spacious. There is a lot of free space in each apartment of hotel. We may put any number of additional beds in room and there still will be free space and all of you will feel very comfortable together. We are sure - you enjoy your stay in Jurmala in our Hotel Concordia. Price for accommodation include apartment cleaning (house-keeping), change towels and bedclothes. Cheap rates for rooms in Jurmala Hotel look here. Description of jurmala hotel rooms and its photos look here.